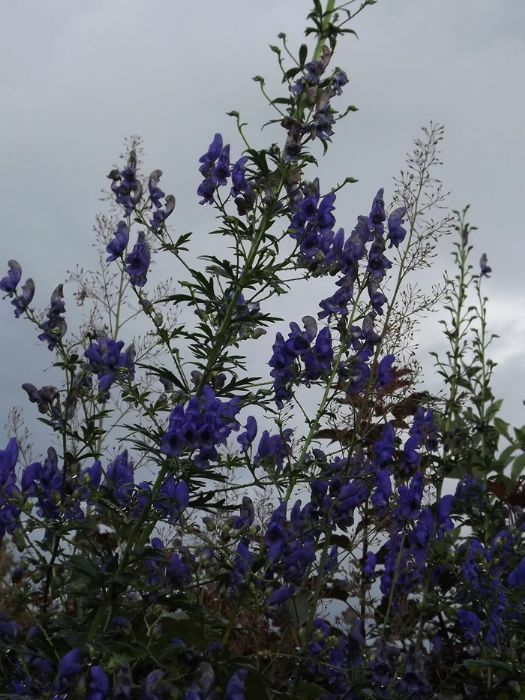 It is believed that the name “Aconitum” is derived from the Greek ‘akoniton’ – meaning ‘dart’ – because the juice of this flowering plant is known to have been applied to the tips of arrows, rendering them poisonous, by the ancient Chinese and Arabians. “Napellus” translates as ‘little turnip’, with reference to the shape of the root of the Monkshood plant. In the 16th century, Gerard wrote in his herbal – “fair and good bluey flowers in shape like helmet which are so beautiful that man would think they were of some excellent virtue”. For all its beauty and virtue, the elegant Monkshood is highly and devastatingly poisonous. 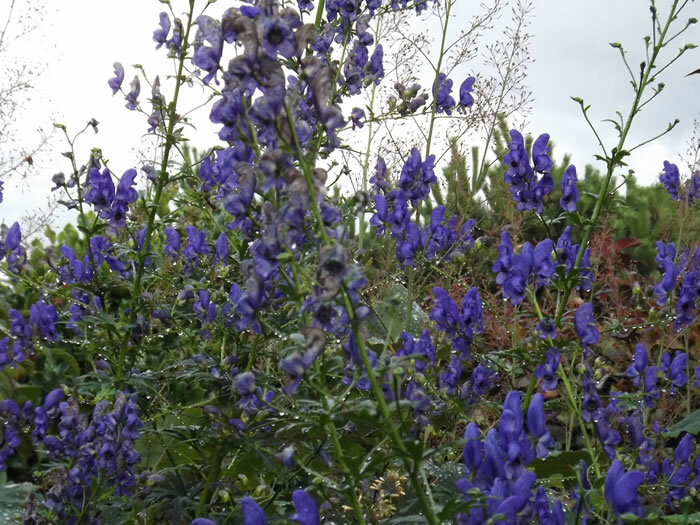 The symptoms of Aconitum poisoning are a burning sensation of the tongue, vomiting, diarrhoea and abdominal pains; slowly leading to paralysis and finally death. Exposure to all parts of the plant can evoke this response. BEWARE! In an emergency, an antidote of atropine and strophanthin can be administered via hospital A&E departments, if made aware of the source of these symptoms.